I love watching speed drawing on Youtube. Some of the artists on there are amazing! Check out Marchello Barenghi painting some hyper-realistic gummy bears, or this self-portrait in oil by John Larriva. Anyway, I thought I’d give it a try myself. I set out to draw a fearsome dragon cruising through the sky and laying waste to all below. 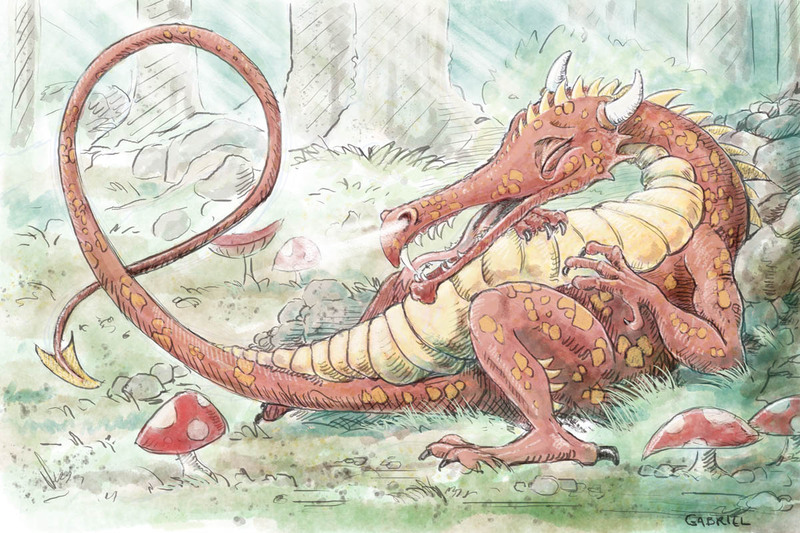 True to form, what I ended up with was a laughing dragon rolling about in the middle of a fairy ring. The process is in the video below. It took about an hour and a half to draw, and way longer than that to figure out how to get it all uploaded and pieced together in Youtube. But now that I know how, I want to do more! If you’d like to see me draw something in particular, leave a suggestion in the comments below.